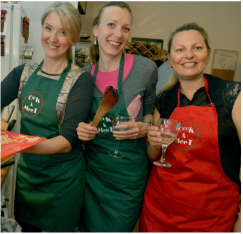 Cooking equipment - Learn to COOK & MEET new international friends! Description: the queen of home-made Italian pasta, with easy-lock adjustment dial to prepare all shapes and thicknesses from "lasagne" and "cannelloni" to "tagliatelle" and the delicate thin "tajarin". 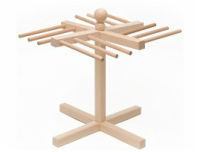 Its wood grip handle and steadfast table clamp makes it an unbeatable kitchen companion. 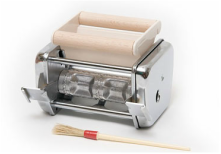 Additional attachments for a variety of pasta shapes like ravioli filled pasta are available separately, including an electric motor. 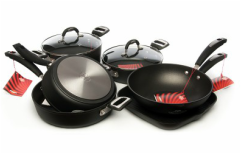 Material: stainless steel and reinforced plastic handle. 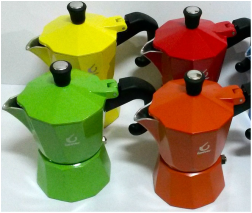 Description: a must-have in every kitchen, the classic italian "moka" machine guarantees the perfect aroma and taste of your coffee, and fills your home with the unmistakable perfume, considered by Italians as the "best perfume in the world after a newborn child" (official survey, no kidding). ​Additional spare seal available upon request. ​Material: 65% cotton and 35% polyester. Description: professional chef´s apron, length 80 cm, with 2 front pockets and adjustable neck string. ​Available in red or green color, with embroidered Cook & Meet logo.